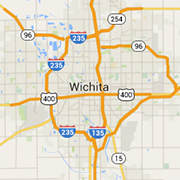 Looking for Wichita airlines, charter flights, flight schools or aircraft services? Check out these members of the Wichita aircraft industry. Our primary goal is to promote and protect all Kansas airports from Wichita’s Mid-Continent Airport to Beaumont’s famous grass strip. Raptor Manufacturing’s provides Aerospace tooling to the Wichita area and specializes in various types of manufacturing.